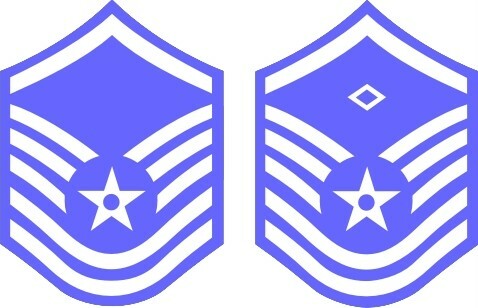 Air Force CMSgt or 1st Sgt Rank Insignia decal. Size is 4". These are blue with a white background. They will stand out on tinted or non-tinted windows.